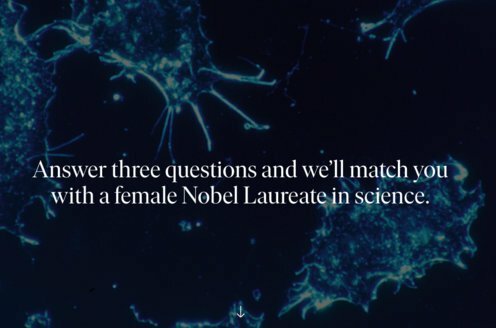 The Nobel Assembly at Karolinska Institutet has awarded the Nobel Prize in Physiology or Medicine 2009 jointly to Elizabeth Blackburn, Carol Greider and Jack Szostak for the discovery of how chromosomes are protected by telomeres and the enzyme telomerase. The award recognizes the discovery of a fundamental mechanism that has added a new dimension to our understanding of the cell, shed light on disease mechanisms, and stimulated the development of potential new therapies. 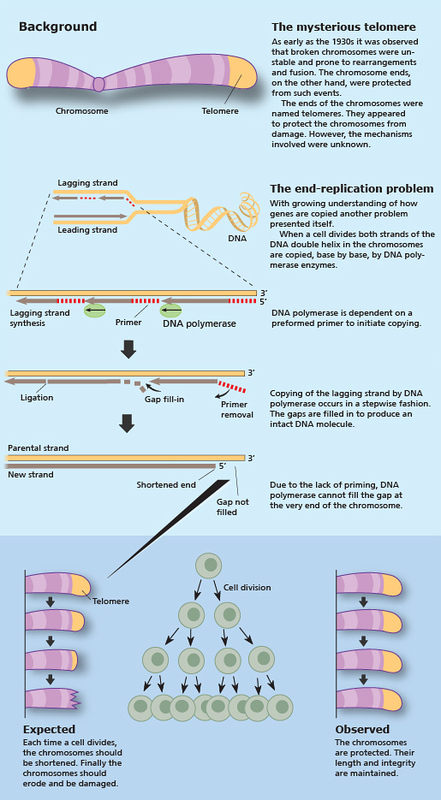 Elizabeth Blackburn studied the single-cell organism Tetrahymena thermophila and had found that the ends of chromosomes contain a short DNA sequence repeated many times. Jack Szostak studied yeast cells and observed that linear artificial minichromosomes were rapidly degraded. 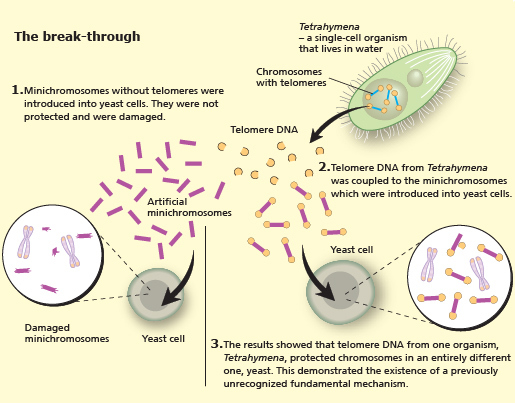 Together they decided to test if telomere DNA from Tetrahymena could protect minichromosomes in yeast. 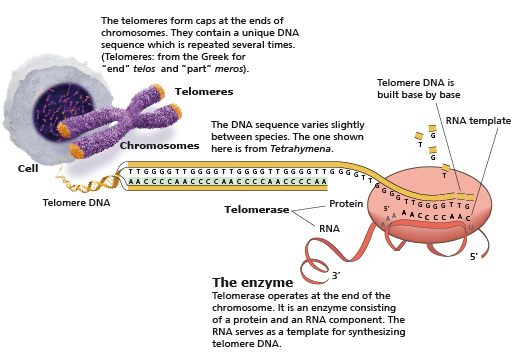 How are telomeres formed? 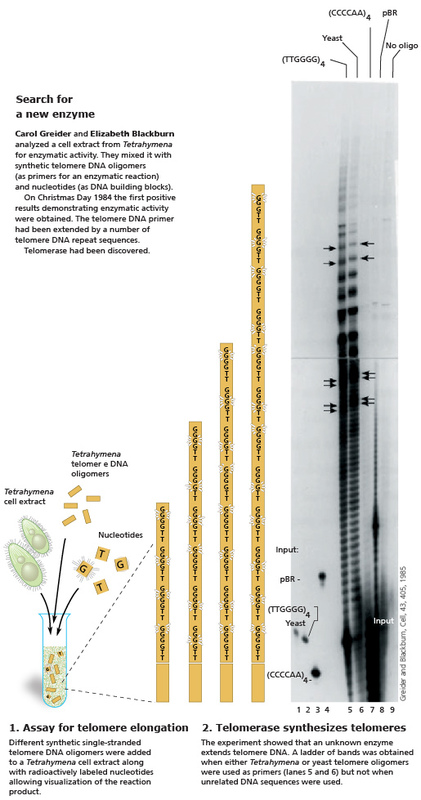 Carol Greider and Elizabeth Blackburn asked if an enzyme might synthesize telomeres. 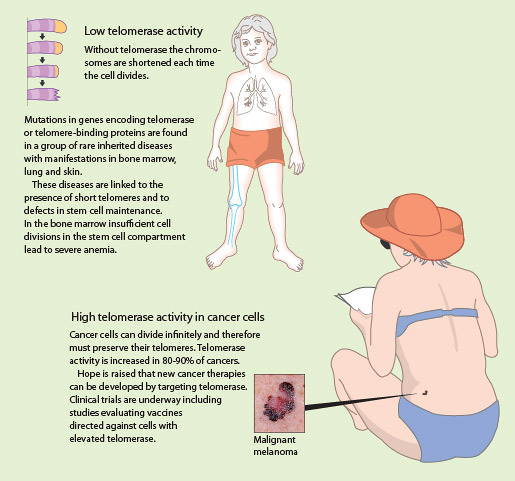 The discovery of telomere function and telomerase has broad medical implications in many fields including cancer, ageing and certain inherited diseases. Scientific Advisors, Professors at Karolinska Institutet: Göran K. Hansson, Medicine. Secretary of the Nobel Assembly; Klas Kärre, Immunology. Chair of the Nobel Committee; Nils-Göran Larsson, Genetics; Thomas Perlmann, Developmental Biology; Rune Toftgård, Cancer Biology. Nobel Prize® and the Nobel Prize® medal design mark are the registered trademarks of the Nobel Foundation.